More than a band, Gang of Four is an idea for a band. Created amid the political and intellectual foment of Leeds in 1977, Gang of Four was an argument, a manifesto, a dare: What would happen if you dismantled assumptions and worked from first principles? What might a rock band sound like if it took nothing for granted? 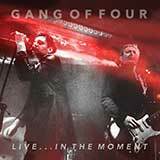 What Happens Next, the title of Gang of Four's thrilling and unsettling ninth album, refers both to the world outside and the band itself: an emphatic commitment to the future. On the album, as on the band's rejuvenating 2013 tour dates, founding guitarist and songwriter Andy Gill has constructed a new Gang of Four: John Gaoler Sterry on vocals, Thomas McNiece on bass and Jonny Finnegan on drums. What Happens Next is a work that is aware of Gang of Four's past but not beholden to it, and finds a band that is empowered to explore new tones and narratives. Gaoler is a shape-shifting, charismatic singer able to slide under the skin of Gill's narrators, sometimes cruel, sometimes vulnerable, sometimes a neutral observer of how society operates. He is joined on What Happens Next by Alison Mosshart (of the Kills and the Dead Weather), Robbie Furze (of the Big Pink), Gail Ann Dorsey, Japanese guitarist Tomayasu Hotei and German musician and actor Herbert Grönemeyer. What Happens Next contains the intellectual muscle you would expect but this plenitude of voices also makes it Gang of Four's most richly emotional album yet. International in scope as well as personnel, What Happens Next grapples with ideas of identity, religion and capitalism, and how individuals are led astray by ideology and received wisdom. 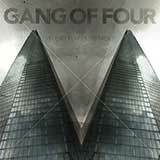 It does so with music that is heavy, dynamic and often moving in ways that Gang of Four haven't explored before. The consistent thread is Gill's unmistakeable guitar-playing, as restless and probing as his lyrics. 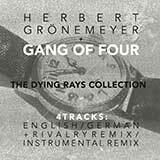 With a tough, radical new sound, Andy Gill has constructed a new entity for exploring enduring fascinations, which makes What Happens Next Gang of Four's boldest, most self-interrogating album since Entertainment! As ever, Gang of Four takes nothing for granted.